It has been a great season for Northwest India in terms of rain and snow. Both the hills as well as plains have been witnessing surplus rainfall. Talking about Punjab, the state is witnessing rain surplus by 98%. On the other hand, the state of Haryana also received enough rains and is at present rain deficient by only 2%, which is normal. The reason for such good rain figures can be attributed to the successive Western Disturbances that kept developing throughout the months of January and February. Adding to the series of the successive systems, another Western Disturbance is about to reach Jammu and Kashmir around February 13. This system will also induce a Cyclonic Circulation over Rajasthan and adjoining areas of Haryana and Punjab. In addition to these systems, humid winds from Arabian sea will feed moisture content over Punjab and Haryana. All these favorable conditions will result in light to moderate rains over parts of Punjab and Haryana February 13 onward. Further, intensity will increase on February 14 and fairly widespread rain and thundershowers with few heavy spells may lash the states. 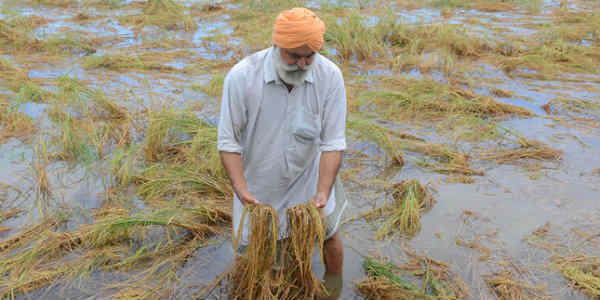 The bad news is there are also bright chances of hailstorm activities altogether with squally winds, which might cause heavy damage to the Rabi crops. Places such as Amritsar, Barnala, Bathinda, Faridkot, Fatehgarh Sahib, Fazilka, Firozpur, Gurdaspur, Hoshiarpur, Jalandhar, Kapurthala and Ludhiana in Punjab will experience rains. In Haryana, rains will lash places such as Ambala, Bhiwani, Charkhi Dadri, Faridabad, Fatehabad, Gurgaon, Hisar, Jhajjar, Jind, Kaithal, Karnal and Kurukshetra. However, February 15 onward, the weather will start moving in east direction. Thus, rain intensity will reduce over Punjab and Haryana, but light to moderate rain and thundershower might continue in some parts. On February 16, the rain belt will shift towards Uttar Pradesh and adjoining parts of East India. Simultaneously, weather will start clearing up over Punjab and Haryana. Talking about the rainfall statistics, with these approaching rains, deficiency figures over Haryana will improve significantly. The state also stands a chance to become marginally rainfall surplus. Although rains are considered fruitful from agricultural point of view, but upcoming hailstorm activities might result in heavy damage to major crop such as Rabi, which is at present at standing stage. 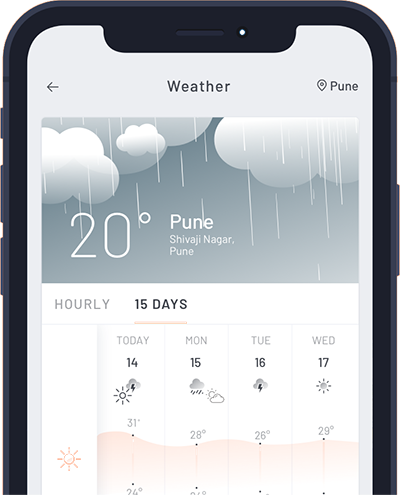 The reason why Punjab tops the list in being rain surplus and Haryana always lags, is because the weather systems remain confined to northern parts of the country such. These systems lose their strengths by the time they reach Haryana.